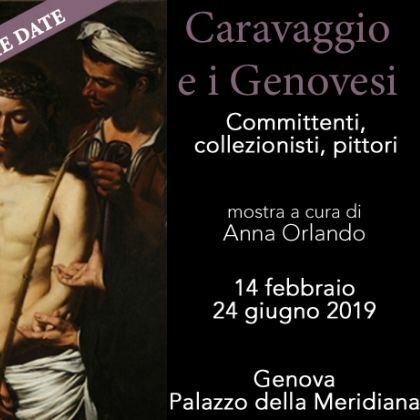 From 14th February to 24th June 2019 there will be in Genoa an unprecedented exhibitions about Caravaggio and his followers. The first 30 years of 17th century are a magical moment for the town: the port of Genoa is the most important of Europe, the heart of trade routes. Here, there have been thousands of riches and artworks. This period is called Genoese's Century, and the main characters are local and foreign artists like Caravaggio and his followers. Their works form an important and enthusiastic chapter of genoese's art history. The exhibition is organized by "Associazione Amici di Palazzo della Meridiana" and managed by Anna Orlando.